Make it a Pink Party with American Horticultural Society and Corona Tools discussing cherry trees and cherry blossoms on the upcoming #Plantchat. 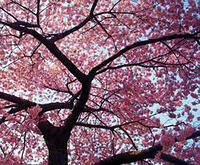 What’s the appeal of cherry blossoms? Is it that we’re starved for spring, or is it their ephemeral beauty? Join us for a Cherry Blossom edition of #plantchat on Monday, March 16 in a bevy of pink petals as we get ready for the National Cherry Blossom Festival, and also look at both fruiting and ornamental cherry trees in our gardens. Bring your cherry blossom photos to share. On the Chat, please share your own advice from your experience with cherry trees and cherry blossom festivals with the other Peeps. Check out the countdown calendar to Spring! Coming THIS WEEK! Join @CoronaTools and #Plantchat co-partner, American Horticultural Society Digital Communications Manager, Charlotte Germane @AHS_Gardening to Think Pink! with Cherry Blossoms. 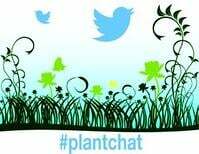 The live chat begins Monday, March 16, 2015 at 11 a.m. PST / 2 p.m. EST, where we come together with green industry experts and fellow horticultural tweeps each week to discuss all things related to plants and horticulture, since 2014. Climate and Culture - Can you do well with cherries? Cherry Blossom Blitz - a citizen website to photograph and track cherry blossoms as they bloom across the U.S.